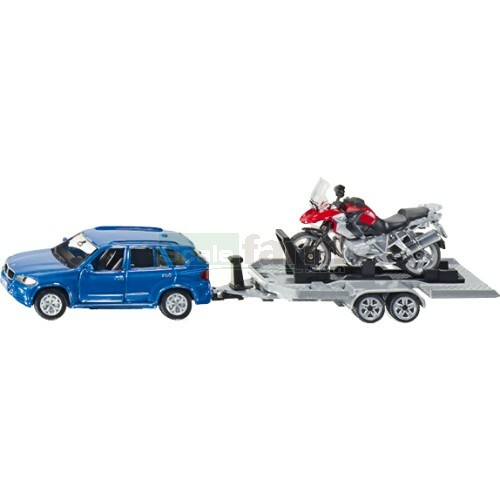 Die cast metal model BMW X5 with motorcycle and trailer. BMW with opening doors and rear hitch to tow the 2-axle flat bed trailer. Trailer tilts for easy loading and locks level for towing.